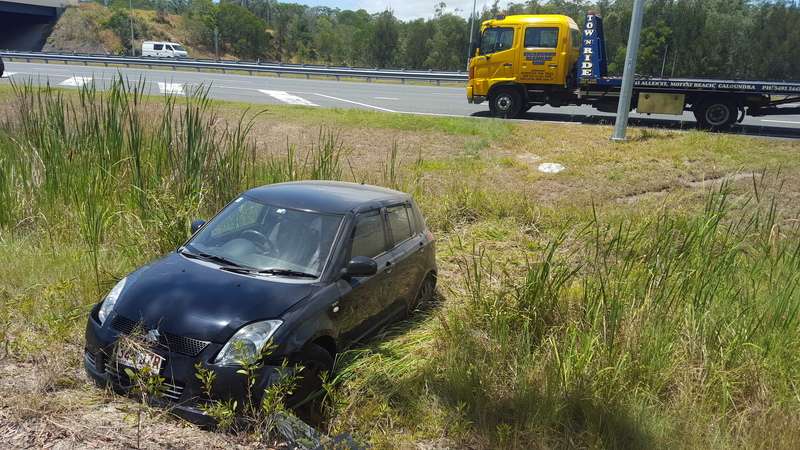 Tow N Ride is pleased to offer Breakdown or Accident Towing in Caloundra and nearby areas. If you have full comprehensive car insurance, the towing fees are charged directly to your insurance company. If required, we do have mobile EFTPOS in our tow trucks. Our tilt tray tow trucks are available for towing your vehicle back to your home or a repairer locally in Caloundra, anywhere on the Sunshine Coast, or we can even provide towing your vehicle back to Brisbane if required. Our crew cab holds up to 6 Passengers, so you can ride along during the tow as well. Our Towing Depot at 42 Allen Street, Moffat Beach, Caloundra has the only undercover vehicle storage sheds on the southern end of the Sunshine Coast, keeping your vehicle securely stored after towing. We have a 4 Wheel Drive available for recovery of your vehicle from underground car parks and other areas that are inaccessible to Tilt Tray tow trucks.